This salad dressing is so good, people will rave about it, talk about it for years and drop it into the conversation in the hope that you’ll either make it for them or give them the recipe. 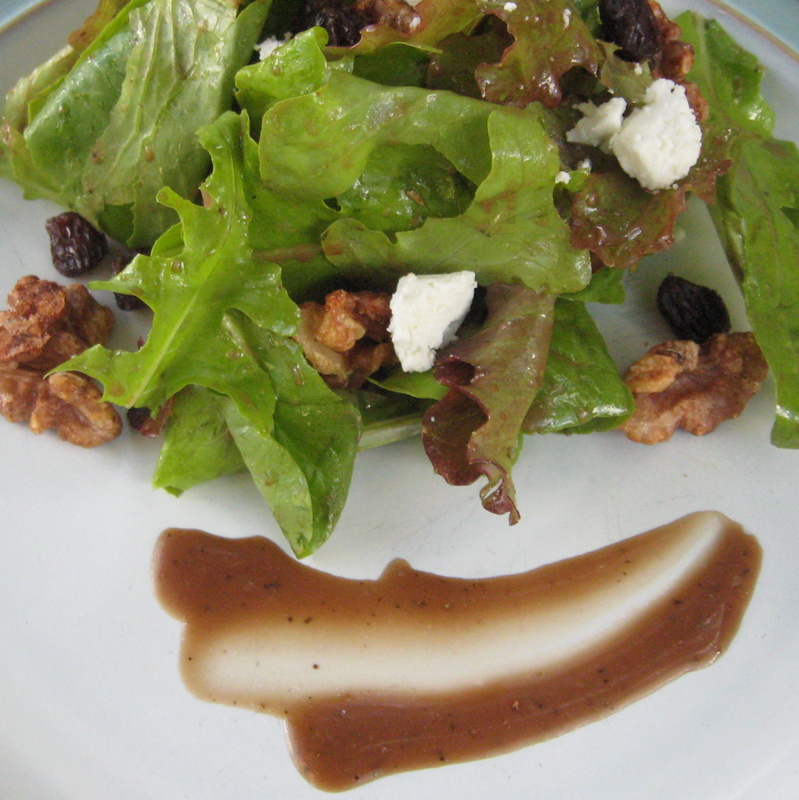 It was this balsamic vinaigrette I was imagining when Sean in LUSCIOUS can’t get enough of the antipasto in Italy. My family puts it on green salads, pasta salads, sandwiches, and veggies. So how do you make this wondrous stuff? It’s easy, but you do need a blender, small food processor, or immersion blender. The recipe makes a 1 cup batch. 1. Combine all ingredients except the oil in a food processor or blender. 2. Pulse until well-combined. With the motor running, slowly add the oil in a thin, steady stream. Continue to run the motor until all of the oil is emulsified. Taste for seasonings. 3. Since this is an emulsified dressing, it gets pretty thick, especially after it has spent some time in the refrigerator. Sometimes I thin it out with a bit more juice. In the summertime, I omit the dried herbs and substitute a handful of fresh basil and thyme from the garden. The last time I made it, I added about a quarter cup of red wine at the end, and it was a particularly good batch. Feel free to use my recipe as the jumping off point and create your own signature balsamic blend. The possibilities are only limited by your imagination and the size of your blender!